The NEW LOOK Arizona Cardinals under new O-C Byron Leftwich…womp-womp…looks a lot like the Mike McCoy offense. We have a Steve Wilks issue looming over this…it wasn’t just all Mike McCoy, apparently. As soon as I saw the first Cardinals offense series, I knew we were in trouble. The media, the fans have been making fun/having total angst against Mike McCoy calling for running plays right up the middle over and over and over and over despite them not working one time this season. It’s what got him fired to some degree. A new, ‘outsider’ type O-C took over for McCoy and with a week (and years) to prepare for just such a moment, to send a signal to the fans, the team, the opponents that things had changed…the Cardinals ran the ball up the middle for no gain of the very first play. I don’t care what you thought the opponents might be waiting for…your big chance to make a statement, with a week to plan, the opportunity to throw deep or run a double reverse or student body pitch to DJ – and you call for a run up the middle. How idiotic are NFL coaches anyway? Like, do you check your brain at the door upon employment? Or does it take a certain kind of ‘mind’ to be an NFL coach? Like…is coaching in the pros something that normal people wouldn’t think of pursuing this vocation type of thing because the path is so ridiculous (but there is a pot of gold at the end of the rainbow), so it takes a certain breed to even walk down the road to football head coach in the NFL? It answers the question why exactly 0.0% of them have anything interesting to say when they get into football broadcasting and analysis post-coaching career. Second play for Arizona…maybe, Leftwich was playing rope-a-dope with the first play…maybe, play #2 is the razzle dazzle? Nope. It was a timing pass, short back shoulder throw, which is fine, I guess…but throwing it at Richard Sherman? Why would you do that? It went way incomplete. 3rd & 10 was a TE screen that went nowhere…followed by a punt. What a great statement made by the new offense. Season ticket now available everybody!! I guess the customers have spoken when you hold a Thursday night game and the entire stadium is littered with your opponent’s fans/jerseys (*See: Denver at Arizona Week 7). Arizona was down 15-3 with 11+ minutes left when lady luck, not Byron Leftwich, struck…a Hail Mary-ish throw to get into 49ers territory PLUS a roughing the passer on top of it got them into the red zone and a TD soon after, finally. One final chance with the ball with 2:16 left, down 15-10, and 73 yards away. Arizona marched down the field on the back of Josh Rosen who willed this team to a win (along with Fitz) – a brilliant, gutsy drive by Rosen. His 3rd & 9 TD pass to Christian Kirk was an amazing display of a new era QB just knowing how to pass if he can get any protection at all and a receiver who can catch. Arizona wins, but nothing really changes for me. Still the same sad sack offense. Perhaps, with two weeks to prepare they will do something better/different, but I saw barely a hint of anything different here. It’s best to assume NFL coaches are just bad at their jobs and repetitive in things and success-adverse…so, no real upgraded projections for any Arizona players for fantasy. 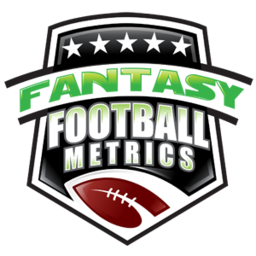 The NFL’s first or second worst offense (Arizona) goes TO Kansas City Week 9…I wonder if the point spread will be under 20.0? It will be a best bet at -20.0 for KC anyway. Arizona is on their way to a 3-13 season. The 49ers are likely headed there too…3 wins, maybe, this year. -- David Johnson (16-59-0, 4-41-0/4) looks somewhere between bored and clueless for this offense right now. No spark. No fire. He can’t get a second step in before he’s greeted by defenders. There is no real effort to get him the ball out in space. I just watched Eli Manning literally throw the ball to Saquon Barkley every passing play…and still no one was covering Saquon after the hundredth throw, for the 8th week in-a-row…so, DJ has to be available on passing plays any time they want. More times than not he’s in blocking than being used as their best weapon. We had an O-C problem…but he was the front for the real problem – the real problem is Steve Wilks. No coaching career will be shorter among the 2018 hires. He’ll have this season and next and then ‘good bye’. This offense is his doing, his philosophy. If you’ve ever heard Wilks speak, you know he’s not from this era of offense and he isn’t changing. That would be fine if he had the O-Line to just power through with the obvious run game…he doesn’t. I love David Johnson, but now I’m staring at an RB who will be 27 years old in a few months. He might be closer to 29 by the time Wilks is gone and a new offense comes in. David Johnson as the cornerstone of your dynasty team – it looks like those days have ended. 2: DJ is screwed for 2019, one more season of Wilks. 3: We don’t know the future/2020…because what brilliant hire will Arizona make next? All the head coaching analysis I did in the preseason, I just should have followed it…wherever there is a 1970s head coach talking ‘smashmouth’ football – you RUN from it in fantasy 2019+. Steve Wilks, Mike Vrabel, Jon Gruden have all torched their offenses/franchises. Let me see what they do with two weeks to prepare in Week 10 before I put a fork in it, but it’s near time to raise the white flag on DJ ever being ‘special’ again. Sad to see. Sad to read. Sad to write. Just note, before you get the white flag…Matt Nagy’s offense was a total carbon copy disaster of Andy Reid’s 2016 playbook (feat. Alex Smith) before it changed (by force) in Week 4. Matt Nagy is a younger, new era, logical guy…Steve Wilks is the opposite of all of that. Byron Leftwich is our hope here…and that looks ‘lacking’ after this game. Give him another game, though. -- Kendrick Bourne (7-71-0/10) is like another Michael Thomas-type WR. Good size, great hands, great route runner…a bit limited athletically (among the ‘stars’) but makes up for it with his technical ability. I’m a fan…it looks like C.J. Beathard is too. The problem is Thomas has Drew Brees -- and Bourne had Beathard…big difference. I have hope for Bourne as a ‘sleeper’ now because he is so good AND I’m betting the 49ers trade Pierre Garcon, opening up the starting role for Bourne…not Dante Pettis (0-0-0/1). Bourne is a WR2 talent stuck with a WR3 offense/QB. There’s hope he thrives on targets in garbage time because he’s reliable and Marquise Goodwin (1-55-1/4) catches all the coverage. -- The best WR on the field, for the future, in this game was Christian Kirk (3-42-1/7). The fact that Byron Leftwich wasn’t going after it with Kirk, and instead over relying on Larry Fitzgerald…that worries me for 2018. However, Kirk is undeniably talented…and Rosen’s favorite WR. Even ‘bad’ Kirk games aren’t that bad…got the game-winning TD here on a catch most WRs don’t make/hold on to…back of the end zone going airborne to the right with a defender trying to kill him coming full speed from the left to try to dislodge the game winner – Kirk took the shot and got his feet down in bounds, and held on. Probably the best catch of Week 8…that nobody cared about or watched. Larry Fitzgerald (8-102-1/12) is great and got forced a bunch of targets but I don’t like his schedule ahead…and teams can see they’re forcing to Fitz now with Leftwich, which should get Kirk some extra space if they use it. 1: Courtland Sutton is going to be a dominant star if he ever gets a real QB to work with. 2: Christian Kirk is maybe the most ‘ready-to-go’ WR I’ve seen come out of college in my decade of doing this. 3: Every game or two, I see this particular guy make a catch and my Spidey Senses immediately leap – like I’m watching something so smooth, graceful, and the ‘look’ of the WR is just makes me go ‘wow’…and it makes me go ‘who is that’ (in my mind) every time he catches a pass (which is a rare event he gets targeted). That WR? Arizona 2nd-year WR Chad Williams (2-21-0/2). I thought he was a bust last year. Lost as lost could be. He is silky smooth this year. Now, I know why the team has started him from Week 1, when it made no sense to me. He’s coming into his own. Like DJ, like Kirk…he’s stuck in this offense. But if it ever takes off, watch out for this guy when/if Fitz ever moves on. Williams was great at the Senior Bowl practices I watched in 2017, but then got into a fight there and kinda lost his prospect mojo. Was lost as a rookie last year and I wondered if he had the head/mind/temperament for the game. Maybe, maybe not…but he has the body, catch ability, and swagger of an NFL star. There’s something about him…I can’t put my finger on it but I see something bigger here. Not now, someday. -- Are we done with Raheem Mostert (2-18-0, 0-0-0/1), now? I was never anti-Mostert, but I never saw any reason to believe the 49ers believed. Remember that nice performance Week 6 on MNF vs. GB? 7 carries the next game after that, only entering the game after Alfred Morris…and the same pattern this week, and just 2 carries. -- I was watching some isolated plays with Deone Bucannon (5 tackles). I’ll just say this – he looks great. I have no idea why he hasn’t been playing. He did play 59% of the snaps this game after barely playing the last few games. I’m guessing it’s a showcase for a trade. Bucannon and Patrick Peterson should be cornerstones of a franchise…instead, they may be traded. Steve Wilks is destroying this team in his own image – another head coach that no talented player with options wants to play for on purpose. Watch the free agents flock to the Rams and Bears…watch them run from Arizona, Tennessee, and Oakland.